All surgical procedures require that the patient prepare pre operative, to ensure a successful outcome. Some of these preparations are directly related to the surgical procedure while others are to make sure that the patient’s daily life activities continue unhindered while he/she undergoes surgery and during the recovery period. 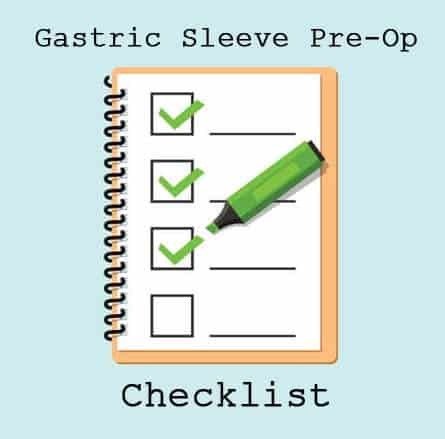 For gastric sleeve surgery, the following preparation will ensure smooth pre and perioperative period. Patients have individual peculiarities, and the advice and recommendation of a bariatric surgeon to one patient differ from that of the other patient. Thus, one of the pre-operative preparations towards a successful gastric sleeve surgery is to ensure regular communication with your surgeon and adhere to his/her instruction. Save money for the surgery and the immediate post-surgery period. Remember it may take you weeks to return to work following gastric sleeve surgery, thus apart from the money for the surgery, you should also save money for your upkeep before you can get back to work. Individual studies are done before surgery. They are aimed at optimizing the patient and detecting any comorbid conditions that may affect the outcome of the surgery. These include knowing your blood level (hemoglobin concentration), blood sugar (to identify diabetes mellitus and institute appropriate management), and functional status of your kidneys (electrolyte, urea, and creatinine) liver (liver function test), heart (ECG and echocardiography). Ensure that all necessary investigations are done and reviewed by your surgeon. There are over 4000 substances in cigarette smoke, many of which may adversely affect the outcome of your surgery. Some cause respiratory problems, interfering with oxygen uptake, transport, and delivery. Further, some interfere with respiratory function both during and after anesthesia. Some also interfere with drug metabolism. Various effects of muscle relaxants have been reported (Rodigro, 2000). In the recovery period, smokers will need oxygen therapy and more analgesics (Rodigro, 2000). It is best to stop smoking for at least eight weeks before surgery or, if not, at least for 24 hours before surgery (Rodigro, 2000). Smoking also delays wound healing and may overall prolong your postoperative recovery period. Mos patients require special diet before gastric sleeve surgery. This is majorly individualized. However, irrespective of the kind of food, all patients undergoing gastric sleeve surgery may be asked to fast from midnight on the eve of the surgery day. Fasting regimen varies from center to center. Some surgeons may allow steady diet, liquid diet, and clear fluid up to 6hrs, 4hrs, and 2hrs before surgery respectively. This is aimed at preventing the risk of aspiration associated with a full stomach at the time of surgery. Your personal belongings such as clothing, toothbrush, toothpaste, laptop, novel or magazine are essential items to take to the hospital for your stay may be up to 72 hours or more. Elements such as book or magazine should be part of your baggage to the hospital as they will help prevent boredom during your stay in the hospital before and after the surgery. Take a leave from work putting into consideration the time you need to recover, typically 2 to 6 weeks fully. Have people to watch over your children and do your housework while in the hospital and immediately after discharge before you regain your energy. Get someone that will stay with you while in the hospital is essential to make sure you feel comfortable and rested. It may not be out of place to get the foods and other items you may need after surgery while getting prepared for the surgery. This will ensure a smooth, immediate postoperative period – helping to avoid weight loss failure. Try to adjust your lifestyle to lose weight before surgery. This is part of the goals of the pre-op diet. The sustainability of your weight reduction after surgery depends on your ability to adhere to your prescribed diet and exercise. Although pre-operative weight loss is not a reliable predictor of postoperative weight loss (Sherman, Lane, Mangieri, Choi, & Faler, 2015), losing weight before gastric sleeve will reduce the risk of complication during surgery.